Part of the best-selling Contour range the Contour frost Ballpen has a frosted barrel in a wide range of colours with matching rubberised grip. 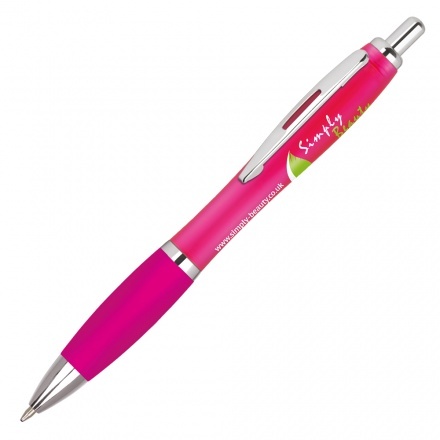 A large print area makes this a popular promotional pen. Delivery: Our standard lead-time is 3-5 working days from order and it's free.